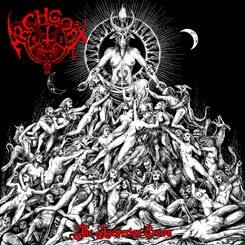 The new Perversity album, released on August 31, 2011. 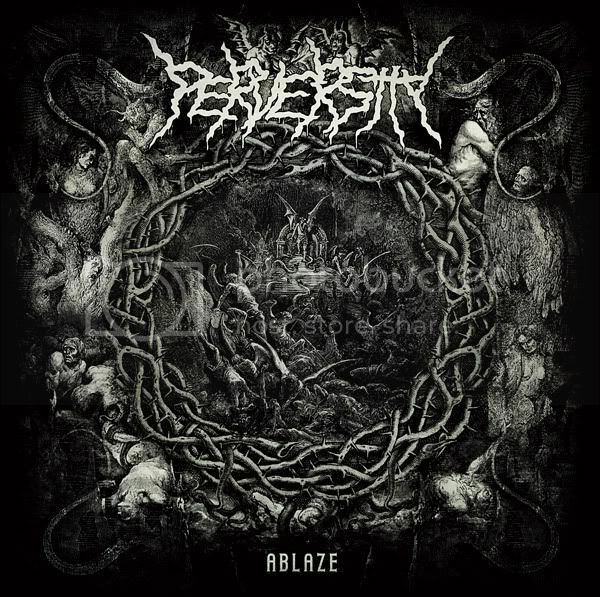 The 4th album by PERVERSITY, entitled Ablaze, presents elaborate, blasphemous brutal death metal. 10 songs (including intro), total time: 34:40 minutes. 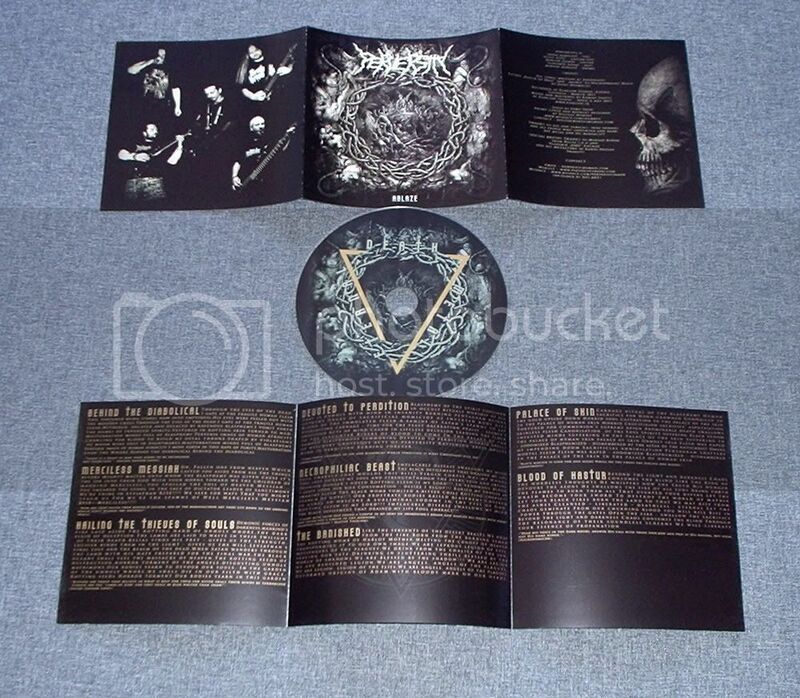 CD artwork (see photos below) comes as a 6 sided folded booklet, texts in metallic gold on black background. 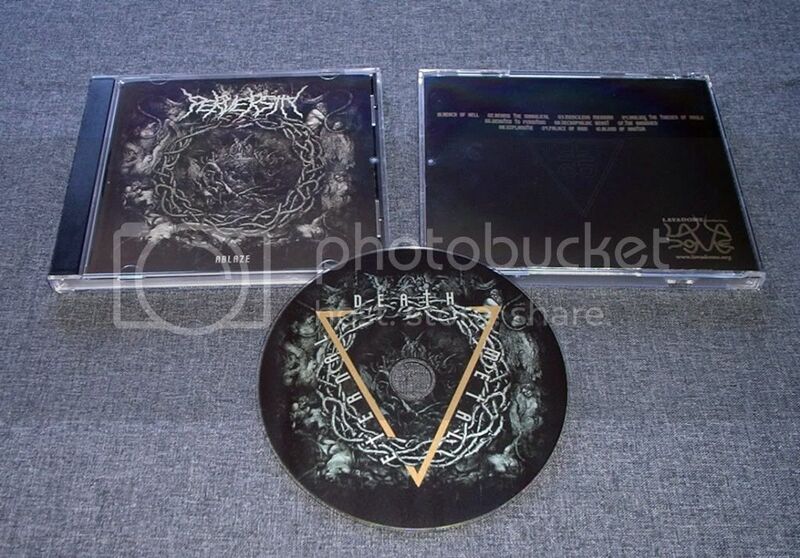 Standard jewel case with black tray.